Please visit us at www.harcourtsdolphincoast.co.za or www.ballitoproperties.co.za. Harcourts Dolphin Coast is situated in Ballito on the North Coast of KwaZuku Natal. We specialise in property sales, rentals and holiday letting. Our agents are all qualified and registered with the Estate Agency Affairs Board of South Africa. Holiday flats and apartments, townhouses and clusters and free standing houses or vacant land, are all sold by us. As the past principal of Harcourts Dolphin Coast I have been a senior property consultant, executive status, for the past 14 years working in Ballito on the beautiful North Coast of KZN. In June 2000 I passed the Estate Agents Board Exam and continued my education by graduating from the Homenet Academy in 2000 and International C.R.S. In recent times I have completed my RPL5 and I am a member of the Institute of Realtors. 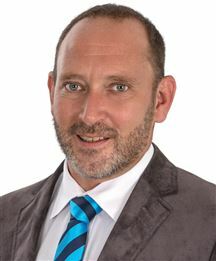 As a franchise holder of Harcourts South Africa since it’s conception in 2008, I started Harcourts Ballito in partnership and later in 2010 opened Harcourts Dolphin Coast as the sole principal and business owner. I am proud to say that Harcourts Dolphin Coast has always been under the top 20 best performing offices in South Africa . On a personal note, I have been a finalist of the Property Professional Association nationally amongst all real estate groups in the country. I have been a national and regional top 10 award top agent for the KZN region. Although awards and acknowledgements are “nice”, living an ethical and honest life is of far greater importance to me. I treat all buyers and sellers with respect, honesty, transparency and confidentiality in accordance to my Christian principals. My pledge to you is to use my negotiation skills and knowledge of the industry to guide & assist You to make a sound decision either purchasing or selling property. 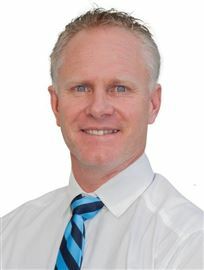 With over 20 years of experience in the property field coupled with my marketing and sales experience in Property Development, Gated Estates, Residential and Holiday sales as well as management of Corporate, Family and student rental accommodation has given me and my team the interpersonal skills needed to effectively manage the whole process of ensuring a pleasurable experience while selling or managing your most valued possession - your home. 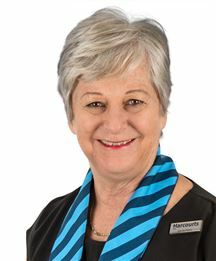 Annemarie has been the administrator of Harcourts Dolphin Coast since March 2010 when the new real estate office opened its doors for business. As a highly qualified and dedicated manager, she is involved in both the sales and rentals of Harcourts and Rentalsdotcom Dolphin Coast. 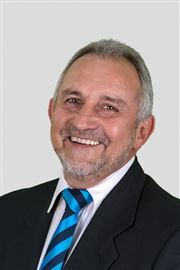 Dennis Scott has resided in Ballito since 1992 & comes from a background in Financial Accounting & Procurement in the Chemical & Manufacturing industries. His passion for people and property is of great value when finding the right fit for clients needs. He has seen the Dolphin Coast become the holiday & retirement destination of choice and has built up many long lasting relationships as a Professional Practitioner in Real Estate(PPRE). His ethics and integrity are a true reflection of the quality knowledge he imparts to his clients, always going the "extra mile" to ensure a memorable buying or selling experience. FROM FISHING TACKLE TO PROPERTY. Ballito fishing fanatic, Ian Schmulian has hung up his fishing rod and joined Harcourts Dolphin Coast to follow his other passion - property. The owner of Hook, Line and Sinker has sold up shop and will now be selling property instead of fishing tackle. I have always had an interest in property. I have watched Ballito grow from the village it was to the beautiful town it is today and I know the area well. I have lived in Ballito for 26 years. I have been serving locals and visitors for many years, offering advice on fishing spots using apartments on the beachfront as landmarks. With gorgeous weather all year round and very friendly people, Ballito offers a great lifestyle and I am happy to share my knowledge of the area to help people find what they are looking for. I at Harcourts Dolphin coast can definitely assist in the buying and selling of residential and commercial property. I am excited and very proud to have joined Harcourts Dolphin Coast and look forward to this new chapter in my life. For friendly and knowledgeable advice contact Ian at 082 441 1504. Brenda is the highly skilled office administrator for the sales department of Harcourts Dolphin Coast. 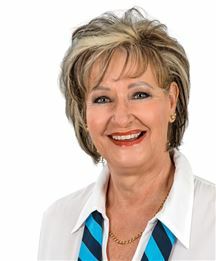 With previous experience and voted "Top Administrator" at Harcourts Maritz in Centurion, Brenda is here to assist with all matters administrative. I am a Commercial Agent focussing on office and retail space mainly in the Umhlanga area but am able to focus on all areas in and around Durban. Rentals and Sales. Stunning Sea Views in Ballito! Sea Views Best Buy in Ballito!